Maranello, March 31st – The winner’s trophy of the 2015 Malaysian Grand Prix traveled with the cabin luggage of Team Principal Maurizio Arrivabene. 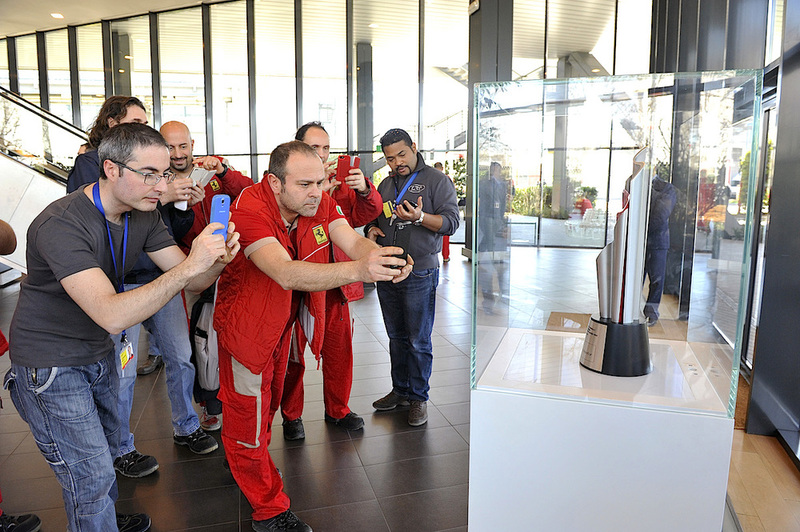 And today at lunchtime, the cup awarded to the winning Constructor in the race was put on display at the entrance of Ferrari’s company restaurant to be admired by the women and men who work at the factory. Nobody missed the chance of taking a picture with the coveted trophy. Maurizio Arrivabene, as well as Technical Director James Allison, Power Unit Director Mattia Binotto, engine designer Lorenzo Sassi among the others, posed with the cup which, in Maurizio’s own words, ‘is your prize’.